Environmental policies based on information provision are widespread, but have often proven ineffective. One possible explanation for information’s low effectiveness is that people actively avoid it. We conduct an online field experiment on air conditioning usage to test the theory of moral wiggle room, according to which people avoid information that would compel them to act morally, against the standard theory of information acquisition, and identify conditions under which each theory applies. 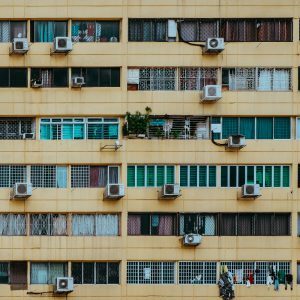 In the experiment, we observe how exogenously imposing a feeling of moral obligation to reduce air conditioning usage and exploiting natural variation in the cost of doing so, given by outside temperature, influences subjects’ avoidance of information about their energy use impacts on the environment. Moral obligation increases information avoidance when it is hot outside, consistent with the moral wiggle room theory, but decreases it when outside temperature is low. Avoiding information positively correlates with air conditioning usage. These findings provide guidance about tailoring the use of nudges and informational tools to the decision environment.